A local tobacconist, Councillor and Bailie, Greig became a director at Tannadice when he joined up with former Dundee director William McIntosh to step in and save the Club from extinction in February 1934, providing funding to meet United's debts. After a slow recovery both on and off the park, United's debts began to rise once more in 1936, and Greig offered to underwrite these debts again, but only in return for the other directors resigning, thereby allowing him to run the club as a one-man operation. 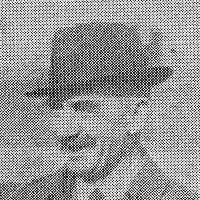 Despite having had no experience of professional football either as a player or as an administrator, Greig became manager/director when Jimmy Brownlie was dismissed in October 1936. He remained in charge of team affairs for eighteen months, when he then sold his shareholding to a new board of directors in April 1938, leaving behind both the Manager and Director roles, but remained a trustee of the club until his death.